Lumina Solar is a Maryland-based solar energy solutions company that works with residential and commercial customers. 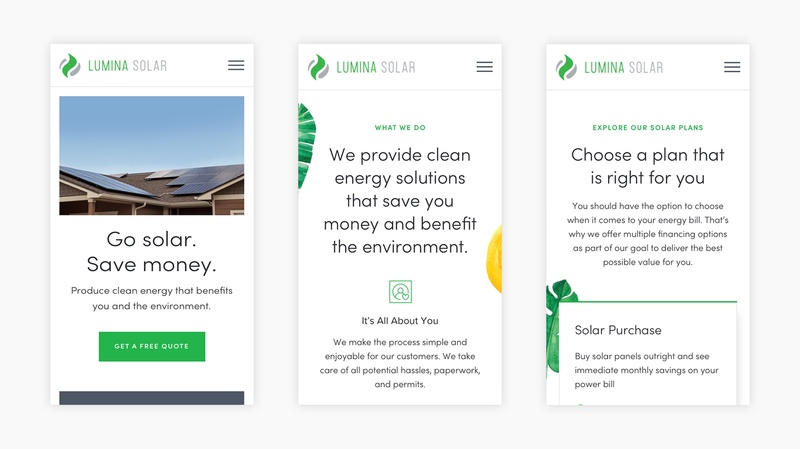 We worked with Lumina Solar to design and develop a new website that positions the company as a premium solar installation company poised for explosive growth. Check out the website at luminasolar.com.